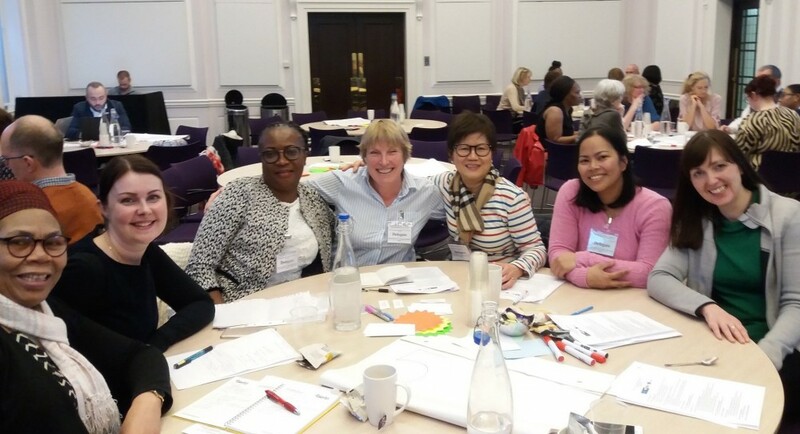 This month, Surgery & Emotion collaborated with the Royal College of Nursing (RCN) to hold a workshop that explored the role of emotions in team-working in the hospital. Our event, which ran on 7 March 2019, brought together different members of the surgical team and hospital workforce to discuss issues including communication, hierarchies, and patient care. We split the day into two parts – the first session looked at Experiences from the Operating Theatre, while the second focused on Impacts and Solutions. Each session opened with a panel, featuring informal presentations from expert speakers. (We’ll be uploading these as podcasts via our SoundCloud.) The presentations were followed by Q&A and then breakout discussions where delegates explored the issues in more depth. In our first session, trauma and orthopaedic registrar Simon Fleming talked about bullying and harassment, looking at the relationship between toxic behaviours and professional hierarchies. Next, surgical care practitioner Sara Dalby explored some of the challenges she’d faced in her non-traditional role, including feelings of isolation and instances of hostility. Finally, consultant anaesthetist Emma Plunkett shared her negative and positive experiences of team-working, including how she had come to appreciate that one singing surgeon boosted team wellbeing! Our second session featured Rhona Flin (Professor of Industrial Psychology at Aberdeen Business School, Robert Gordon University) exploring her research on the role of non-technical skills in the operating theatre. She showed how rudeness can impact cognition and therefore patient care. Emergency medicine consultant Chris Turner spoke about how we respond to rudeness and how initiatives such as the Civility Saves Lives campaign can encourage people to reconsider their behaviour. Then, Jocelyn Cornwell, CEO of The Point of Care Foundation, discussed how Schwartz Rounds provide a space and opportunity for staff to come together and reflect on the emotional challenges of their work. Lastly, Hannah Andrews (Mental Health Co-ordinator at the University of Warwick) shared her research on self-care and self-compassion in nursing. Our second panel takes questions from the audience. The day concluded with a keynote presentation from Jill Maben, Professor of Health Services Research and Nursing at the University of Surrey, looking at the importance of teamwork and reflective spaces in supporting staff to care well. Jill addressed one of the most pertinent themes of the workshop – the links between the emotional health of NHS staff and patient care. She explored what makes for a more positive working environment, including the role of ‘good gossip’ and informal staff catch-ups. She also talked about how stressful working environments prompt some healthcare practitioners to find meaning by favouring specific patients, which leaves others overlooked. Historical perspectives were interwoven throughout the day. The sessions and keynote were chaired by historians of medicine and healthcare who acted as respondents, providing context for the debates. Agnes Arnold-Forster, our Research Fellow, and Jack Saunders (Research Fellow on the Cultural History of the NHS project) reflected on the challenges and opportunities surrounding staff wellbeing since the start of the NHS. Agnes explored the problems precipitated by hierarchies, and the prevalence of nostalgia among healthcare employees. Jack argued that identifying historical continuities does not mean that problems are unchanging or unfixable. Chairing the keynote, Sarah Chaney (Events & Exhibitions Manager, RCN and Research Fellow on the Living with Feeling project at Queen Mary University of London) looked at the history of nursing, and how the RCN negotiated the relationship between feelings and professional identity. Our first breakout session, chaired by Agnes and Engagement Fellow Alison Moulds, invited attendees to share and reflect on their own experiences of hospital practice. Participants were encouraged to identify challenges they’d faced that they wanted to address or overcome. The second breakout session, led by Wendy Irwin (the RCN’s Head of Equality and Diversity) gave space for delegates to explore solutions and recommendations for change. Wendy invited participants to come up with one big ‘ask’ they’d like to make of the new NHS Chief People Officer, Prerana Issar, and three things they felt they could implement at grassroots level, within their individual teams or hospitals, in the next sixty days. Breakout groups discussed challenges in their work and solutions for change. We were delighted with the thought-provoking discussions that took place throughout the day. Key themes included the importance of time and spaces available for staff for rest and reflection, and for teams to interact outside the immediate pressures of work. We discussed the importance of breaks, of keeping hydrated and nourished during long shifts. We debated how to improve communication between colleagues, with conflicting opinions on whether using mobile phones in breaks offered respite or created barriers. We also discussed the lexicon of team-working. What does it mean when we ask people to be resilient, and what systemic issues does this ignore? Why has the term ‘compassion’ become so ubiquitous, and why have other alternatives fallen out of favour? Jocelyn Cornwell pointed out that one of the panels of the RCN’s stained glass windows celebrates the role of ‘love’ in nursing, a word which is now rarely used. Breakout group team bonding in action. Reflecting on the day, participants were thoughtful about how they would use the lessons learned and ideas shared to improve their own working environments. One respondent said they would seek to ‘embed positive energy in the workplace on a daily basis’, while another suggested they would ‘consider the use of role modelling in healthcare and how to find/ become a role model/ buddy’. A couple of participants planned to investigate how to introduce Schwartz Rounds to their hospitals, while others were intending to share learning from the day in training sessions at their Trusts. it was surprising how many theatre departments disclosed similar themes of rudeness due to hierarchical traditions from behind closed doors. Many surgeons still use the theatre environment as a stage on which to display their machismo and bravado to the detriment of team cohesion. She felt the workshop was a ‘privileged opportunity to explore the impact of negative communication and toxic individuals’ on personal ‘self-confidence’ and ‘the multi-disciplinary team, productivity and ultimately patient safety’. Danni is planning a staff support session revisiting the importance of whistle-blowing in the interest of patient safety. She’ll also be working with the Matrons to provide ‘increased support and a zero-tolerance stance on bullying and verbal aggression’. In collaboration with the Trust’s Wellbeing lead, she’ll seek to bring Schwartz Rounds to the theatre and reassure staff that their voices will be heard. As a project, it’s immensely rewarding for us to hear how our workshop with the RCN will help bring about positive reforms in hospital workplaces. We know that this is the beginning of the conversation, and that positive change will take time, but it’s a pleasure to help shape and contribute to these emerging debates about the emotional health of the NHS workforce. If you’re a healthcare practitioner who attended our event, or who has been inspired by reading about our work, we’d love to hear from you. You can get in touch with us at: surgeryandemotion@roehampton.ac.uk.